Walk down Jalan Besar and turn right at Petain Road. Come out from Exit H, on the same side as City Square Mall. Turn right into Kitchener Link after Mask Restaurant and turn left at the playground/park to reach Petain Road. Come out from Exit B, opposite the ICA building. Walk along Horne Rd, turn left at Tyrwhitt Road and turn right at Petain Road. Come out from Exit A. Turn right and walk along Kallang Bahru till the T-junction, opposite Singapore Casket. 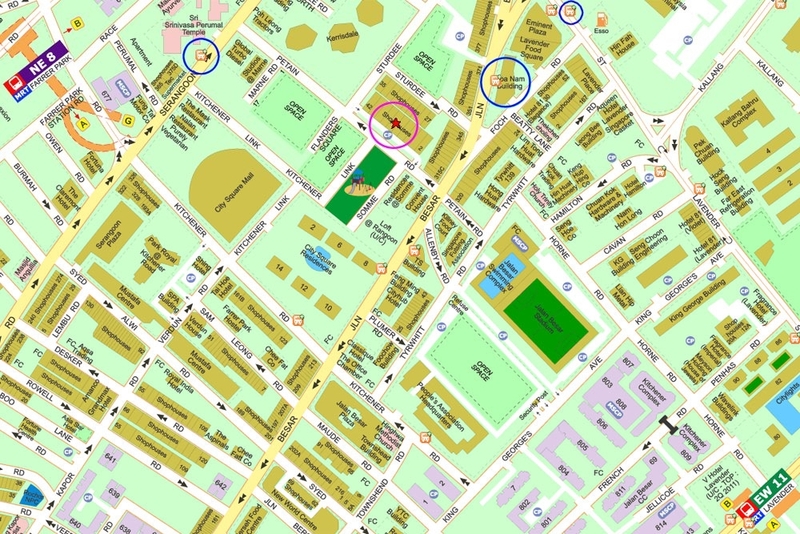 Turn right and walk along Lavender St till the cross junction, opposite ARC 380. Turn left, walk along Jalan Besar and turn right at Petain Road.